and the joy of all nations. We believe the good news about Jesus is an announcement that not only creates, motivates, and sustains life together as a community, but that this good news also has implications for our city and the world. The Oaks does not exist for itself, but rather for the joy of the people in our neighborhoods and ultimately to the ends of the earth. Denver is one of the most strategic cities in North America today for gospel advancement and global impact. The beauty and opportunities of this city draw thousands of new residents each year from all over the world with promises of an unmatched quality of life. Yet many find that in spite all Denver has to offer, it is unable to satisfy the deep desires of the soul. Many find themselves lonely and in a tireless pursuit of awe and pleasure. We believe this brokenness is a context where the gospel can shine, as the beauty of Jesus is experienced through a community shaped by the good news. God is at work in every corner of the globe displaying his beauty as he redeems a people for himself from every people group he has created. God is renewing each person to experience what it means to be fully alive as the Spirit puts the broken pieces of souls back together to more vividly image our Creator. God is reconciling a diverse people out of division and has accomplished unity by placing us in one family. God is restoring all things as his kingdom breaks through in showing how all of life flourishes with Jesus as King. Jesus has graciously and generously invited us to trade our small plans for his as we join him in what he is doing in the world- to make disciples of all nations. Our local efforts of disciple-making and our global focus are not at odds with one another. We believe alignment with God's heart for the nations enriches our love for our local context. 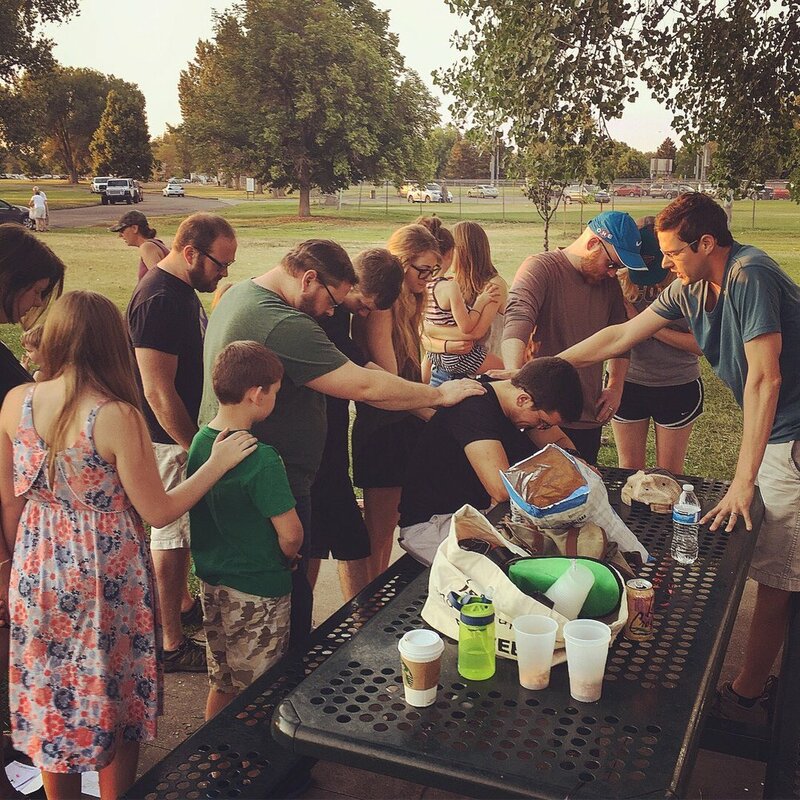 We desire to pursue life with God, life on life, life in community, and life on mission that is robustly focused on where God has placed us in Denver and that strategically mobilizes to the end of the earth. We exist, in part, to help equip people to live out their identity as 'sent ones' locally and globally. God is a global God who desires and deserves the praise of every people group He has created. Our mission is centered on the declaration and demonstration of the good news of the person and work of Jesus. The mission of God will only be accomplished through the Spirit of God working through the Word of God. Our focus is on long-term disciple-making, not merely short-term evangelism. We intentionally do short-term projects with long-term strategic partnerships alongside local churches. We desire to embody the implications of the good news by our good works in tangible displays of the love of God. We focus our global efforts by leveraging kingdom relationships among unreached peoples and places. Our priority is equipping and empowering indigenous leaders to do contextualized ministry. We leverage our vocations, skills, and resources to work for flourishing in the midst of brokenness.